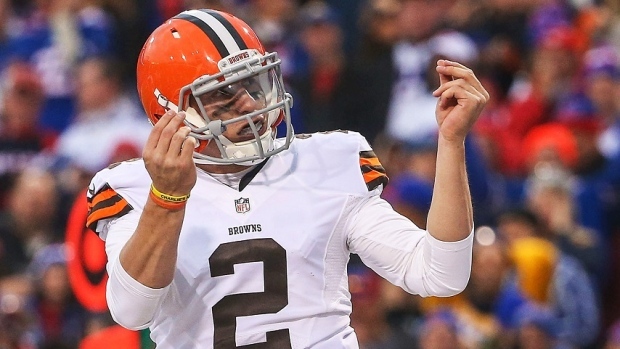 The Canadian Football League has officially cleared the way for Johnny Manziel to play in the league next season. The league announced Thursday afternoon that commissioner Randy Ambrosie is prepared to approve a contract for Manziel if the former Cleveland Browns quarterback can reach a deal with the Hamilton Tiger-Cats ­– the team that owns his negotiating rights. “Since last summer, the Canadian Football League has been engaged in a thorough process to determine the eligibility of Johnny Manziel,” the CFL said in a release. “This process has been conducted with the cooperation of Mr. Manziel and independent of the team which currently holds his CFL rights, the Hamilton Tiger-Cats. A star quarterback in college for Texas A&M, Manziel won the Heisman Trophy in 2012 and was selected in the first round, 22nd overall, by the Browns in the 2014 NFL Draft. The Browns cut him in March 2016 after two seasons of inconsistent play and distractions related to his partying and drinking. Manziel, 25, has been out of football since the end of the 2015 season and failed in his attempts to get into an NFL training camp this summer. “We appreciate the CFL office and Commissioner Randy Ambrosie's due diligence in this matter," said the Tiger-Cats in a team statement. "We also recognize Johnny Manziel for thus far demonstrating the attributes necessary to continue his career in our great league. We will have no further comment at this time." The Tiger-Cats have 10 days to make an offer to Manziel in order to keep his rights or to trade his rights to another team. If Manziel does not receive an offer from the Tiger-Cats or isn't traded by January 7, he will become a free agent.